Denair schools trustees and the public will have their first chance Thursday night to publicly review plans for a revamped elementary charter school. The proposal calls for Denair Elementary School and the adjacent Denair Academic Avenues to form a new school known as Denair Elementary Charter Academy, or DECA, for the 2015-16 school year. 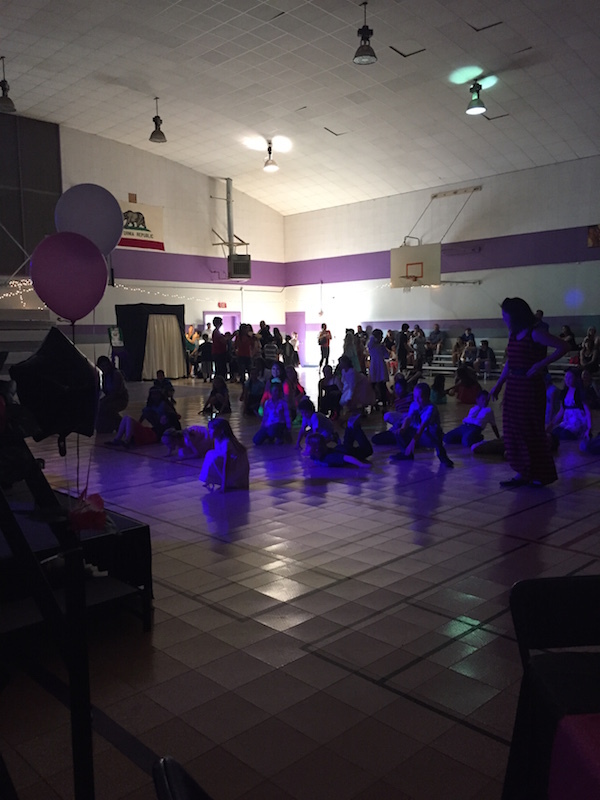 Together, the two campuses now have about 500 kindergarten through fifth-grade students from Denair and surrounding areas. The curriculum will be rich with core subjects such as language arts, math, science, social science and physical education. Electives will include world/foreign languages, drama, music, art, dance and computer instruction. Already, DECA’s dual immersion English/Spanish class for kindergartens is proving to be popular, with 26 students signed up and five on a waiting list, said Principal Sara Michelena. A second class could be added if there at least 40 students. The class will follow the 90% Spanish and 10% English dual immersion model, Michelena said. The goal is to have a 50/50 mix of English and Spanish speakers. The intent, she said, is to add a dual immersion class at successive grade levels each year as the first group of kindergartners gets older. Denair Middle School science students became the teachers for a few minutes Friday morning, explaining the concepts of cellular structure to their elementary counterparts. 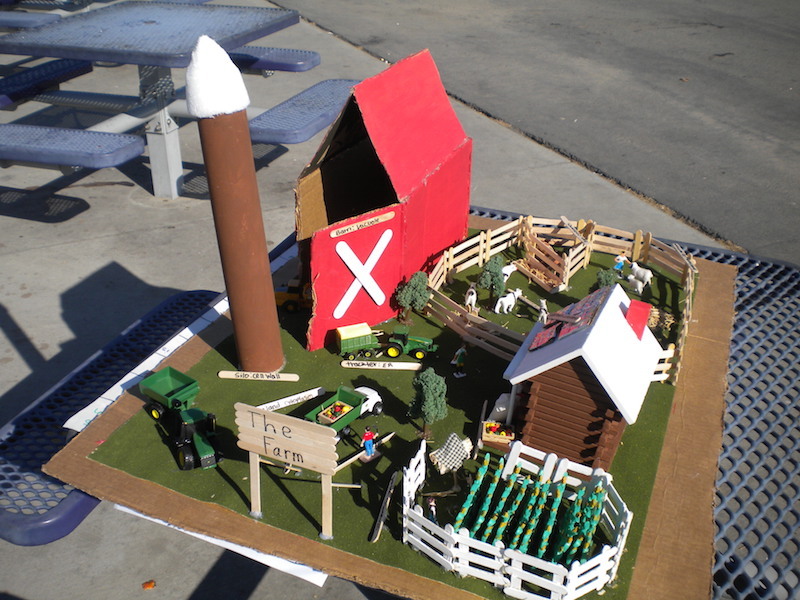 Seventh-graders from two of Barry Cole’s biology classes built elaborate replicas of farms, military bases, an Old West town and even a futuristic community to help with their 15-minute presentations. The point, Cole explained, was to find “real-life applications for what these students are expected to know” as part of their life sciences instruction. The seventh-graders spent most of the past month working on their projects and constructing their models. Friday morning, 12 teams of four or five students carried their work across the street to the elementary campus, ready to impart all they have learned in classes of first- to fifth-graders. The older students already had made oral presentations in front of each other in their own classes, but Cole required them to come up with a different way of explaining cell structure to their younger peers. Kindergarten registration begins Tuesday at Denair Elementary School for the 2015-16 school year. 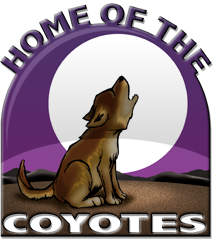 Application forms in English and Spanish can be downloaded from the school’s website or can be picked up at the school office at 3773 Madera Ave. Parents and guardians must provide copies of their child’s birth certificate and immunization records. Officials will be on hand from 3-6 p.m. Tuesday to answer questions, offer assistance in filling out the forms and accept completed applications. People also can call the school office at 632-8887 for more information. Traditional full day classes for children who will be 5 years old by Sept. 1, 2015. Dual immersion English and Spanish classes, also for children who will be 5 years old by Sept. 1, 2015. Transitional kindergarten for children who will turn 5 between Sept. 2 and Dec. 2, 2015. 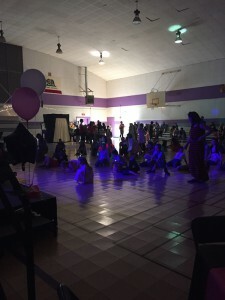 Denair is in the process of merging its two elementary programs – Denair Elementary School and Denair Academic Avenues – into a unified kindergarten through fifth-grade campus under a single charter. The proposed name for the new school is Denair Elementary Charter Academy. In anticipation of the new arrangement, DES and D2A already have begun joint activities this year, including a 20-minute assembly each Friday morning.